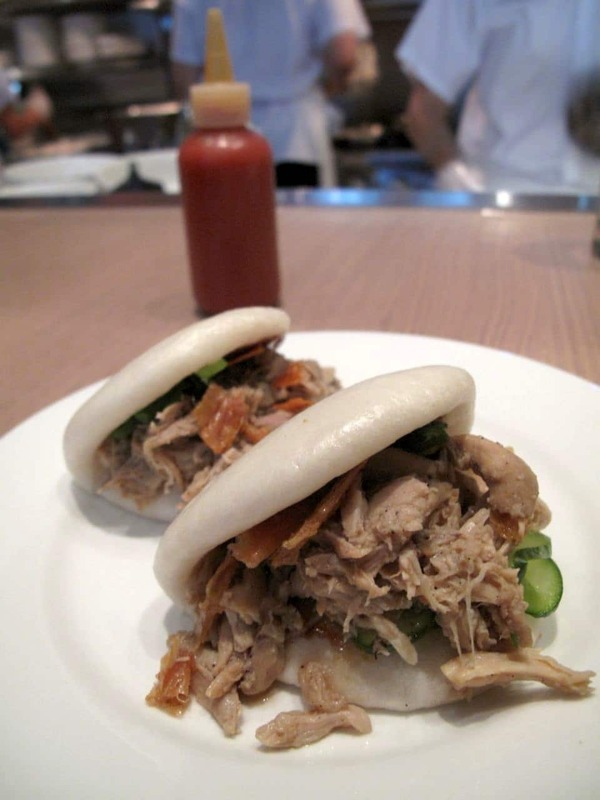 Momofuku Noodle Bar Toronto is Chef David Chang’s culinary mecca in Canada. 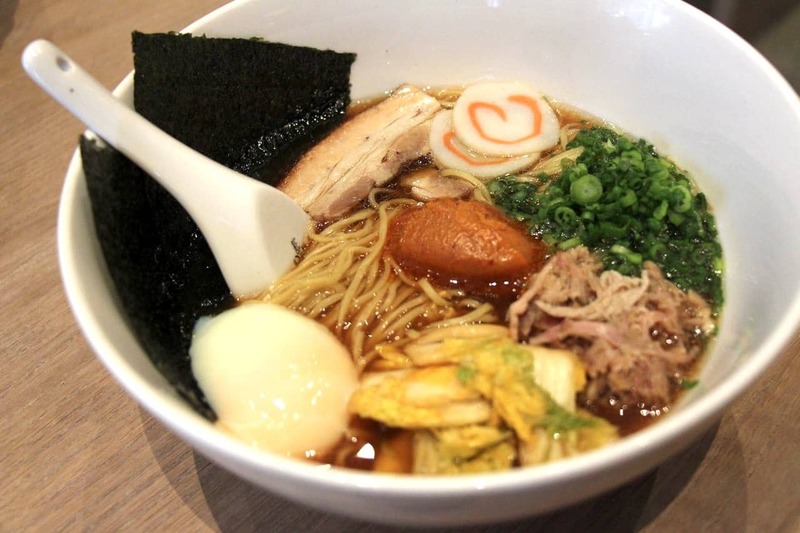 Ranked as one of the best ramen restaurants in Toronto, Momofuku Noodle Bar specializes in Japanese noodle soup, steamed buns and family-style fried chicken feasts. These were the wild snipits of online conversation my brain was processing on the week that Chef David’s Chang’s much lauded restaurant franchise opened in Toronto. Social media was abuzz (I’m sure people talked about it in person too) about the city’s excitement and anticipation for the world famous chef’s first Canadian enterprise. Momofuku Noodle Bar Toronto announced its opening just a few hours before the doors opened. Without a doubt, eager foodie fans lined up down University Avenue by the Shangri-La Hotel to get their first taste. I wanted to give Chef David Chang some space so to speak and had no intention on waiting in line with the rabid crowds (eyes like werewolves) desperate to be one of the first to share highly saturated instagram shots of steaming noodle bowls. I can’t even imagine the pressure Chef Chang has to endure when launching into a new city. I wanted to give his team time to get themselves running like a well oiled machine before showing up for a fine Asian feast. The dining room at Momofuku Noodle Bar Toronto. I visited the Noodle Bar on two separate occasions so that I could order the majority of the menu. I was very impressed with the professional #powpowpow of service which just by observing from my seat seemed like a restaurant that had already been opened for several years. The space is open concept (really just one large room) with sky high ceilings. I have of course heard mixed reviews. People seem to really enjoy the simple menu and efficient service. I’ve heard a few comment that they felt the prices were steeper than the competition. I did a price comparison at a few of the other top ramen spots in the city and while I do agree that Momofuku’s bowls are a dollar or two more I think we can all appreciate the hefty rent Chef Chang is paying beside the Shangri-la Hotel on University Avenue. So for me personally the price point is justified, the service is always smiling and efficient and the dishes are well presented and flavourful. I have heard a few people complain that they feel as though they are being whisked through their meal. Some have expressed frustration that they expected a nice leisurely dinner and ended up finishing in under an hour. 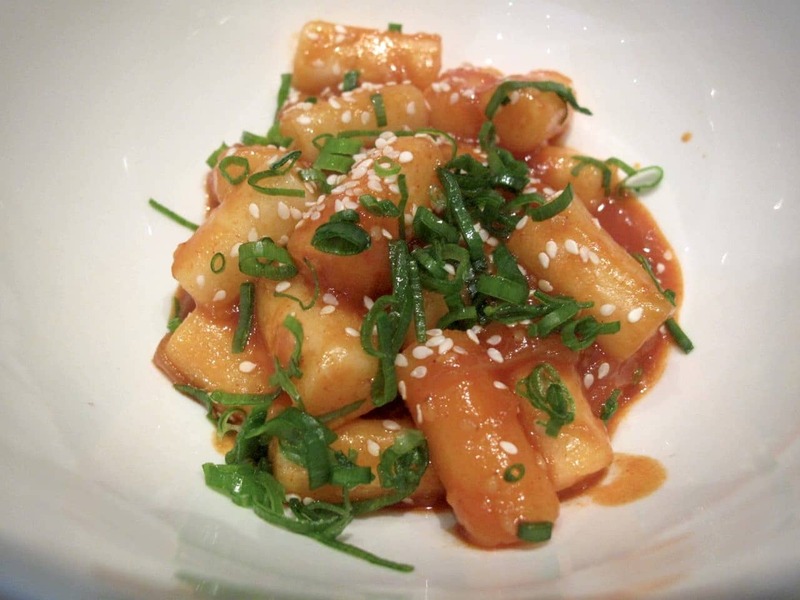 Momofuku Noodle Bar Toronto is not a fine dining restaurant. Chef Chang has created an open concept restaurant where strangers grab chopsticks together and share their slurping and smiles at communal tables. Noodle Bars in Japan and Korea are most often situated in busy train stations where people can grab a quick bite before rushing home. 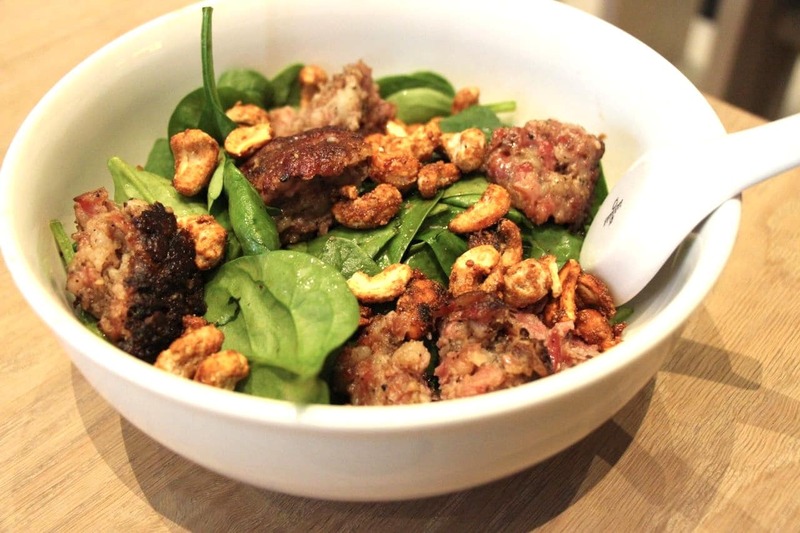 Momofuku Noodle Bar Toronto has created a perfect spot for those downtown to grab a quick dinner before the ballet or a late night bite before heading out in the Entertainment District. 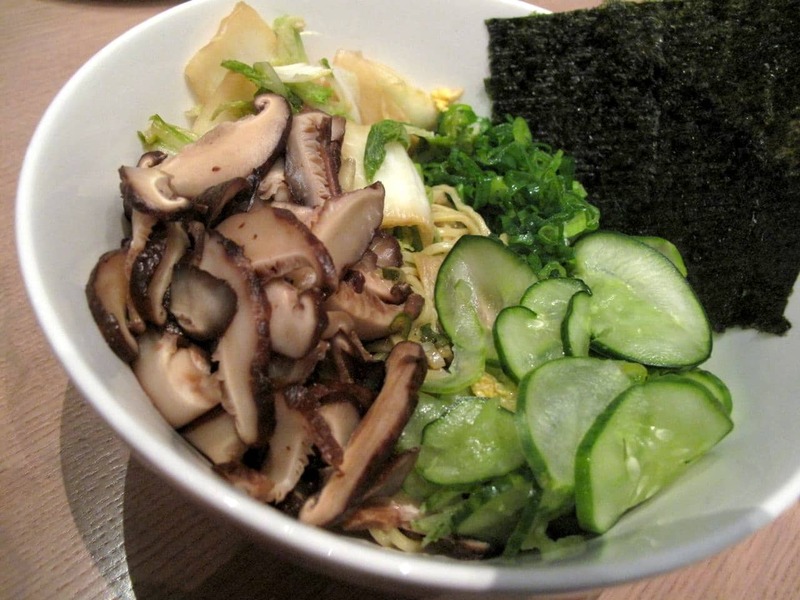 I am certain Momofuku Noodle Bar in downtown Toronto will become an institution in the city. A perfect spot to grab a quick yet nourishing bite with friends. Chef Chang has been recognized around the world for celebrating and innovating Japanese and Korean flavours and textures on his menus. Momofuku Noodle Bar elevates the ramen experience and Toronto is better for it. If you’re looking to quench your thirst we suggest starting with one of the ramen restaurant’s craft cocktails. If you’re with a group you can order large format cocktails to share such as Dark & Stormy and Long Island Iced Tea. Craft beer lovers will find some of Toronto’s best breweries on offer here. You’ll also find some of Ontario favourite craft beers courtesy of Steam Whistle, Oast House, Sawdust City and Bellwoods Brewery. You’ll also find a selection of craft cider produced in Hamilton, sake from Japan and Toronto’s own Ontario Spring Water Sake Company. Wine lovers enjoy a short and sweet list featuring bottles from Ontario, Italy, Spain and Argentina. 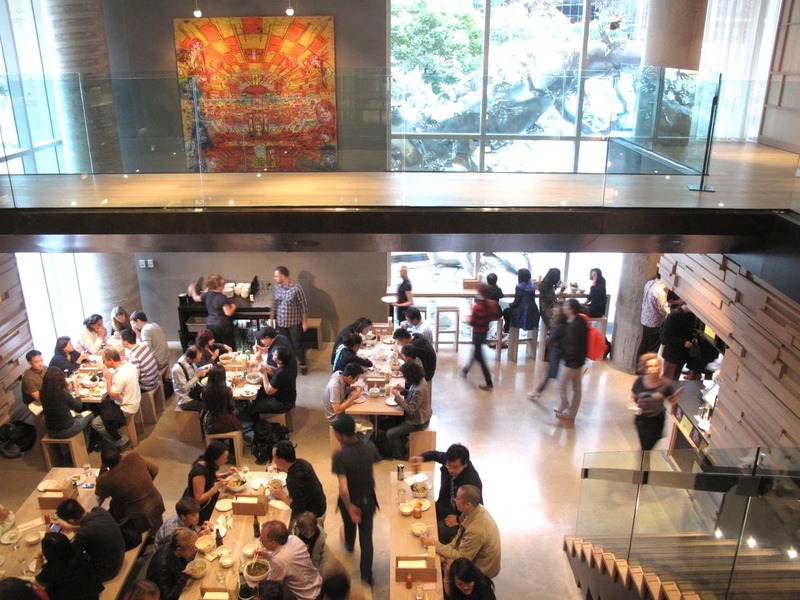 Momofuku Noodle Bar in Toronto is a sister-restaurant to Chef David Chang’s famous New York City hotspot. The menu features large format fried chicken meals, bowls of steaming ramen and a slew of Asian-inspired dishes like steamed buns and rice cakes. Fried Chicken (serves 4-8) featuring two whole fried chickens, one southern style and one Korean style. Served with scallion pancakes, ginger scallion sauce, jalapeno garlic sauce, pickled vegetables, radishes, herbs and tabasco sauce. Fried Chicken and Caviar (serves 4-6) featuring southern-style half chicken, shiso-cured salmon roe, miso cream cheese, chive crepes, and sweet pickle. 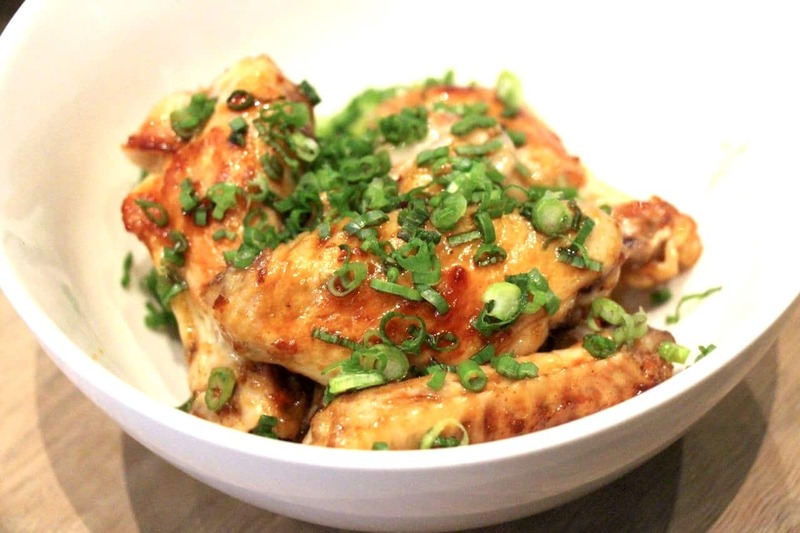 Smoked Chicken Wings at Momofuku Noodle Bar Toronto.